This is the first and only installment of our annual series recapping the 2017 season for the St. Louis Cardinals. Part 2 of this annual recap, which would have covered the Cardinals in the post-season, has been canceled for obvious reasons for the second consecutive year. The 2017 Cardinals reported to spring training camp with the label of the underdog – due to the Chicago Cubs being the pick of many to win their second consecutive division title and World Series. Despite both clubs having the vast majority of the same players back from 2016, the Cardinals were not ready to concede anything. Opposed to the year before, the Cardinals played well in the spring, but their best-ever Jupiter record did not carry over into the regular season. Dropping each of their first four series, the Cardinals were playing catch-up from the very start and spent over two consecutive months (early June into August) under .500. Though the Cubs also played below their potential for much of the first five months, Chicago took control of the division in September. For the second straight year, the Cardinals reset their sight on claiming one of the two Wild Cards. However, their chances were crushed in late September with a finish much like their start. St. Louis went a dismal 2-7 to end the season, dropping consecutive series to Pittsburgh, Chicago and Milwaukee. The Cubs both clinched the division and eliminated the Cards from the wild card in final-week head-to-head wins at Busch Stadium. St. Louis missed the playoffs for the second consecutive season after five straight appearances. The club finished 83-79, down three wins from the year before and 17 victories worse than in 2015. The club’s first major move of the 2016-2017 off-season, announced on November 3, was a bit of a surprise. 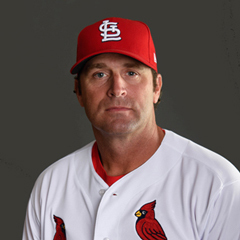 Coming off the team’s first playoff miss in five years and with one year remaining on his contract, manager Mike Matheny was given a three-year extension that runs through the 2020 season. On the field, the club welcomed two important newcomers, both free agent signees, to spring training camp in February, Dexter Fowler and Brett Cecil. 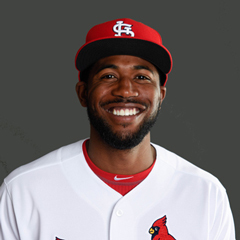 Center fielder Fowler was signed to a five-year deal as a free agent, essentially taking departed free agent Matt Holliday’s spot on the roster. The only other significant 2016 contributor to leave was outfielder/first baseman Brandon Moss, who likely played his way out of a 2017 contract due a horrendous September 2016. 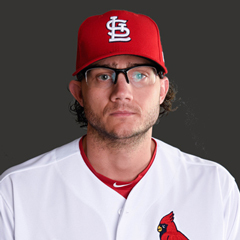 With Zach Duke slated to be out for most of 2017, the Cardinals signed fellow lefty Cecil to a four-year contract to join Kevin Siegrist in the bullpen. Other free agents not asked back for 2017 were oft-injured reliever Jordan Walden and journeyman pitcher Jerome Williams. Left-handed starting pitcher Jaime Garcia, with one year to go on his contract, was traded during the off-season to Atlanta for three minor leaguers. For the second year in a row, free agent catcher Eric Fryer signed with St. Louis on a minor league contract with the intent of being added to the big-league roster at the end of spring training. In a widely-celebrated deal announced on February 2, Carlos Martinez avoided arbitration, agreeing to a five-year, $51 million contract with additional options covering his third and fourth potential free agent years in 2022 and 2023. There were two key changes in the coaching staff from 2016. Triple-A manager Mike Shildt was added in a new position, quality control coach, and high-A manager Oliver Marmol was named first base coach. 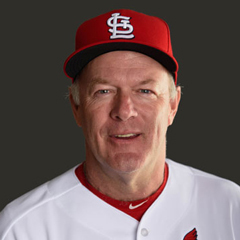 2016 first base coach Bill Mueller returned to his 2015 job of assistant hitting coach after Derrick May was not retained. The major blow of the spring was delivered on the very first day of camp. 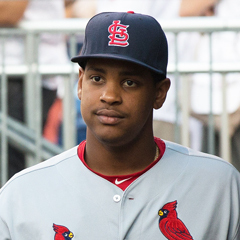 The top pitching prospect in the game and projected starter Alex Reyes was lost for the year due to an elbow injury that required Tommy John surgery. This put greater focus on the questions coming into spring camp with two returning starters – the strengthened, but untested shoulder of Michael Wacha and the repaired elbow of Lance Lynn. Both passed their spring tests with flying colors. Wacha’s resurgence was crucial because not only was Reyes lost, but fellow prospect Luke Weaver struggled in camp and reliever Trevor Rosenthal, promised a chance at starting, was injured for much of the spring and opened the season on the disabled list. Along with Duke, Reyes and Rosenthal, two other pitchers began the season on the shelf. Impressive spring starter John Gant, part of the take in the Garcia trade, suffered a groin injury late in camp. Likely, he would have opened with Memphis had he been healthy. Also, lefty Tyler Lyons, coming back from off-season knee surgery, was deemed not quite ready to go. All position players were active for the April 3rd opener – a major contrast to 2016 when three hitters began the season on the DL. On the field, the club played well. In fact, its 20-8-4 record (.714) was St. Louis’ best showing in its 20 years of Grapefruit League play at Jupiter’s Roger Dean Stadium. However, spring attendance was down almost 20 percent from 2016 with a 20-year low in per-game average. The opening of the nearby Ballpark of the Palm Beaches, new spring home of the Astros and Nationals, had to be a factor. Continuing the pattern from the prior three years, the pitching led the way, with the very best team ERA in MLB at 3.28. The offense was inconsistent, however, with a .735 OPS that was 23rd in MLB. The Cardinals were 22nd of the 30 teams in spring runs scored. With an announced focus on baserunning for the third straight spring, the Cardinals were smack in the middle of the MLB pack with 22 stolen bases. Their success rate was a below-average 64.7 percent. For comparison, the MLB spring average was 67.6 percent. The Cards did take a few extra bases as evidenced by their MLB-leading 17 triples. However, do not celebrate, as their spring doubles count of 48 was 50 behind the MLB leader and just one two-base hit out of the cellar. Overall, the team slugging mark of .407 was 23rd, a foreshadowing of problems ahead. The March after the Cardinals and Kolten Wong agreed to a five-year contract, the second baseman was again in the news, but for the wrong reason. The 26-year-old took exception to his manager’s suggestion to the media that he might be platooned during the regular season, making a trade demand from which he quickly backed down. With catcher Yadier Molina entering the final year of his current five-year contract, his agent put the Cardinals’ feet to the fire in the spring. Either an extension needed to be in place by the start of the regular season or the 34-year-old would test the free agent market in the fall. A few hours before the first pitch on Opening Day, the two sides agreed to a three-year extension, which covers 2018-2020 and will net Molina $60 million. The very next day, the club and Stephen Piscotty announced a six-year deal, covering the right-fielder for the 2017-2022 seasons, plus a 2023 option. Piscotty will make a minimum of $33.5 million to as much as $50.5 million from the contract, which will cover one or two of his free agent years. 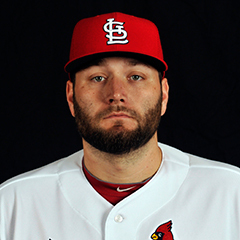 Set to be a free agent in the fall, Lance Lynn expressed interest in working with the club on an extension, as well, but the Cardinals consistently avoided the subject, preferring instead to bring prospects into the MLB rotation in preparation for a different look in 2018. Though no one would likely admit it, there were really only two open roster spots in camp. Sure, not all names were written in ink, but the leaders at each spot would have had to play their way off the team – and they did not. 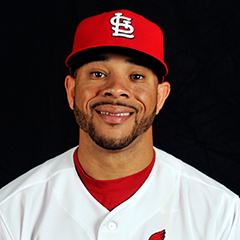 The one exception to that was outfielder Tommy Pham, who had been with both St. Louis and Memphis in 2016, between being active and on the disabled list. 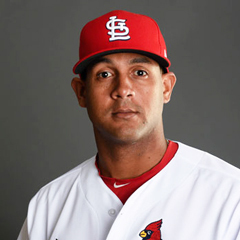 He was thoroughly outplayed by the hitting surprise of camp, Jose Martinez, and the former opened the season in Memphis. The final bullpen spot went to Miguel Socolovich. As he had no minor league options remaining, it was not surprising the right-hander made the team after pitching well during spring training. Actually, that turned out to be the second-to-last bullpen spot. Rosenthal was not placed on the DL until camp ended, with Sam Tuivailala recalled from Triple-A in response to make his first-ever opening day in the majors. With a full 40-man roster as camp closed, the Cardinals placed Duke on the 60-day disabled list to make roster room for reserve catcher Fryer, a move that was expected all spring. Among minor league pitching standouts in Florida were starting prospects Gant, Mike Mayers, Jack Flaherty and Sandy Alcantara and lefty reliever Ryan Sherriff. Hitters catching coaches’ eyes included infielders Paul DeJong and Patrick Wisdom and outfielders Harrison Bader and Magneuris Sierra. Recent signee Adolis Garcia also showed glimpses of speed and strong defense. Carson Kelly did not hit much (.182), but the catcher continued to draw praise for his maturity and leadership. Among starters, Lynn and Martinez posted spring ERAs of 1.20 and 1.38, respectively, with Wacha also at a solid 2.42. 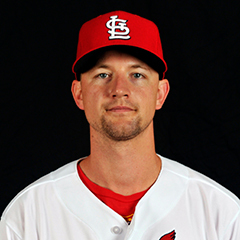 Mike Leake came in at 3.81 but Adam Wainwright limped to a concerning 7.78 spring ERA over six starts. Among the relievers with ERAs under 2.00 were Siegrist, Jonathan Broxton and Rosenthal. The unheralded star, however, was 2016 Rule 5 pickup Matt Bowman, who did not allow an earned run over 12 innings. On the offensive side, .300 hitters included Aledmys Diaz, Matt Adams, Fowler and Martinez, the team leader at .380. Martinez also paced the club with 15 RBI, and his four home runs were one behind the leader, Adams. The slimmed-down reserve first baseman was also second on the club with 11 RBI, but fanned over 37 percent of the time. Oddly, the team waited until very late in camp to experiment with Adams in left field, intended to increase his versatility. However, the move was not considered a success. In a bit of a concern, four players who opened the season on the active roster finished the Grapefruit League under the Mendoza line – Matt Carpenter, Wong, Jedd Gyorko and Stephen Piscotty. Then again, it was the second straight spring that Carpenter and Gyorko batted under .200 in Florida and both went on to perform well in 2016. There seemed enough concern about Piscotty’s spring that veteran Jhonny Peralta opened the season as the cleanup hitter, with the right fielder hitting sixth. The top three in the lineup appeared set – Fowler, Diaz and Carpenter, followed by Peralta, Molina and Piscotty, with Randal Grichuk, Wong and the pitcher bringing up the rear. Martinez was named to make his first Opening Day start, followed by Wainwright, with Lynn, Wacha and Leake following in the rotation. Seung-hwan Oh returned for what was expected to be his first full season as closer. Other bullpenners were Cecil, Siegrist, Broxton, Bowman, Socolovich and Tuivailala. Reserve hitters were Gyorko, Greg Garcia, Adams, Fryer and Jose Martinez. Uneven play led to a 12-12 April for the second consecutive year. The difference this time was that Cubs also scuffled, so instead of already being six games back as in 2016, St. Louis was tied for second, one game out, as the first month ended. The Cardinals lost their first four series, capped off by a Yankees sweep in New York, and spent 10 days in last place. From there on, the team flipped its 3-9 start into a 9-3 conclusion to April. Seven of those nine wins came against division rivals Milwaukee, Pittsburgh and Cincinnati. Three-fifths of the rotation began strongly – Leake (1.35 ERA), Lynn (2.45) and Wacha (2.55). Wainwright continued to scuffle at 6.12 over his first five starts. Closer Oh converted six saves, all in the second half of the month, but his 4.50 ERA was of concern. The only starter batting over .268 during April was Gyorko at .333. Carpenter led the way with 14 RBI, followed by Grichuk with 12. Among struggling April hitters were Diaz (.214), Piscotty (.221) and Fowler (.236). Rosenthal came off the DL on the 10th, with Tuivailala going down to Memphis. By the 20th, Peralta’s poor play helped aim him toward the disabled list. At that time, Lyons was activated. May was another month of .500 play, at 13-13. The Cardinals had a promising start, with a 6-0 road trip at East Division weaklings Atlanta and Miami and winning two of three against Chicago to move into first place for a week. Their biggest lead was 1 ½ games, on May 15. From there on, the Cards backslid hard, losing five straight series to close the month, including home and away sets to West Division powerhouse Los Angeles. St. Louis concluded May back in second place, 1 ½ games out. Particularly painful was a 13-inning home loss to the Giants on the 30th. Leading off the ninth in a scoreless tie, Carpenter was thrown out trying to stretch a double into a triple. Within the first week of May, the injury bug bit hard, with Lyons, Piscotty and Jose Martinez going on the DL in rapid succession. 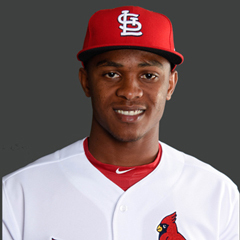 While Tuivailala’s return was not a surprise, the addition of Magneuris Sierra from Double-A was. In his two weeks up until Piscotty’s return, the rookie injected life into the lineup and quickly became a fan favorite. The injuries also opened the door for Pham to make his 2017 debut and before too long, he moved into a starting role which he did not relinquish. Stuck behind Carpenter at first and the product of a failed try in left field, Adams was traded to Atlanta for a teenaged low-A corner infield prospect on the 20th. Later in the month, Lyons returned and bumped Tuivailala back to Memphis. Socolovich was dropped from the roster, making room for John Brebbia’s debut. The roster churn continued as struggling veteran reliever Jonathan Broxton was released, with John Gant promoted from Memphis. On the 28th, what would become one of the biggest moves of the season occurred. 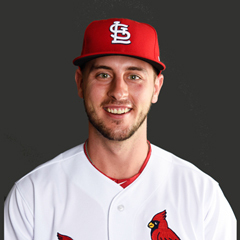 With Wong heading to the disabled list, the Cardinals added Paul DeJong to the 40-man roster and promoted the shortstop to St. Louis. That night, as a pinch-hitter, DeJong hit the first of his team-leading 25 home runs. The very next day, in a surprising move, Grichuk was sent all the way down to high-A Palm Beach to make room for Jose Martinez’ return. There was a big disparity in the offense, with just one regular hitting between .222 and .293 during the month. Those hugging the Mendoza Line were Grichuk (.202) and Carpenter (.204), though the latter had the same number of walks (19) as hits, bumping his May OBP to .348. At the upper end, Pham batted .320 and Wong hit .299. Pham, Molina and Gyorko all plated 14 and Carpenter led the way with six long balls during May. Carlos Martinez logged a 2.03 ERA and Wainwright had his one good stretch of the year with a 2.04 mark. Oh saved six games for the second straight month, but also walked 5.5 batters per nine innings. After months of reported pursuit of Cuban free agent Luis Robert, the effort ended in failure for St. Louis, as the White Sox signed the outfielder to a $25 million deal plus 100 percent overspend penalty to MLB. Starting on the second, a disastrous 0-7 road trip to Chicago and last-place Cincinnati, during which St. Louis was outscored 43-19, set the tone for the 13-16 month. The Cards gave up second place and lost two games in the standings, finishing June 3 ½ games back. As one might expect, the team was inconsistent, dropping five of six after the earlier losing skid, falling to six games under .500. It could have been much worse, however, as the Cards closed the month by winning five of the final six. The offense picked up a bit, with all of the regulars batting between .247 (Carpenter) and .296 (Molina). Eight hitters had between four and six home runs, led by Fowler with six and all eight drove in double-digit runs, paced by Gyorko’s 18. Early in the month, Carpenter was moved back to the top of the order, and soon DeJong took over the third spot. After being hot for much of the first half, slumping Gyorko was displaced as the cleanup hitter by Fowler, who had been signed to be the leadoff man. The rotation, a strength to that point, fell off other than Carlos Martinez at 2.43. The other four posted June ERAs of 4.30 or higher, with Wainwright’s 6.98 mark for the month especially troubling. Chad Huffman joined the roster starting on the 7th, with Gant going down to Memphis. When Wong was ready to be activated, on the 9th, Peralta was given his release. A week later, Wong was back on the shelf. The 9th was a key date for another reason, as an unusual mid-season shakeup of the coaching staff was announced. 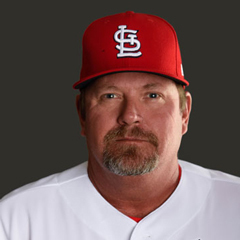 Third base coach Chris Maloney was reassigned within the organization, with quality control coach Mike Shildt replacing him. Triple-A hitting coach Mark Budaska became interim assistant hitting coach during Bill Mueller’s leave of absence. The Cardinals also promoted assistant minor league field coordinator Ron “Pop” Warner to the big league staff in a general role. A significant amount of roster turnover occurred during the final week of the month. 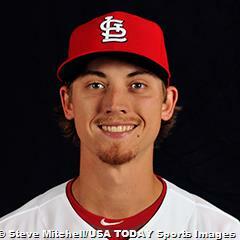 First, on the 25th, Fowler and Siegrist were placed on the DL and Huffman was cut loose. New recruits were Luke Voit, Mike Mayers and the return of Grichuk from the minor leagues. 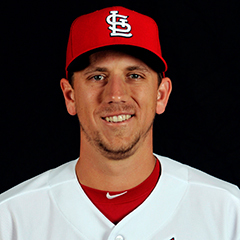 Three days later, opening day shortstop Aledmys Diaz was sent down to Memphis, replaced by rookie Alex Mejia – a surprise on both ends of the transaction. On the final day of the month, the team made another set of announcements. General Manager John Mozeliak was promoted to the new position of president of baseball operations and Michael Girsch moved up from assistant general manager to replace Mozeliak. Both executives received contract extensions through 2020. In early July, the Cards basically alternated wins and losses but declined by two games in the standings, heading into the mid-summer break at 43-45 overall, 5 ½ games back. Two Cardinals were named to the National League All-Star Team in 2017 – Molina and Carlos Martinez. Molina drove in the NL’s only run as a reserve and Martinez fanned four in two scoreless frames as the NL lost, 2-1. Losing the first post-break game put the Cards a then-season-worst 6 ½ games out of first. Soon, the team was back in fourth place before a late-month 4-2 finish helped St. Louis log its first winning month of the season at 14-12. At 52-53 overall, the third place Cards finished July in third place, 4 ½ games out. A particular low-light occurred in New York on July 20, when Rosenthal did not cover first base on an infield grounder, enabling the Mets to steal an extra-inning walk-off win. Carpenter was critical of his teammate in post-game comments. As Gyorko (.208), Wong (.234) and Fowler (.224) slumped during July, Pham (.355, team-best 20 RBI) stepped to the forefront. Another new sensation, DeJong, launched eight home runs, plated 16 and batted .298, a performance good enough to earn him NL Rookie of the Month honors. He became the first Cardinal to win the award in over three years – since Kolten Wong in May 2014. With ERAs under 2.00, Wacha and Lynn took the rotation lead for the month as Martinez (5.90) had his worst stretch of the year. With Oh struggling, Rosenthal stepped back into the ninth-inning role. Just before the break, Fowler and Wong returned to the lineup. Just after, Siegrist also returned, but Grichuk and Piscotty went on the shelf. On the 21st, Fryer was released with prospect Carson Kelly promoted from Memphis. That same day, Grichuk returned, as did Zach Duke, back early from Tommy John surgery. A few days later, Fowler returned to the DL, joined by Wainwright. Harrison Bader made his MLB debut and Luke Weaver came up for a second time. The circumstances surrounding Kelly’s arrival struck a negative chord with Molina, who made two social media posts which drew considerable attention. 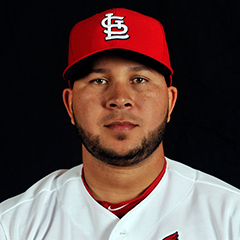 The first took exception with a comment from his manager that Molina had been given a day off because he looked tired. In the second, Molina expressed his fondness for former Cardinals coach Jose Oquendo. After weeks of speculation over whether the Cardinals would be buyers or sellers heading up to the July 31 non-waiver trade deadline, the ultimate answer was “neither”. Lynn reportedly drew considerable interest from other clubs, but he remained a Cardinal. The team also made no moves to add outside help, as in other recent seasons, despite obvious bullpen and offensive needs. In contrast, the Cubs, which ran off a 13-3 streak, acquired a top starting pitcher, Jose Quintana, and a proven closer, Justin Wilson, to bolster their division lead. The Cardinals had been under .500 continuously from June 3 until August 8, but then mounted what would be their last real run. One factor may have been the second players’-only meeting of the season, led by Wainwright and Molina on August 3, after which there was said to be greater team unity. Another notable event occurred during the August 9 contest, as the Cardinals trailed the Royals by one. In the sixth inning, a stray kitten ran across the Busch Stadium turf. After it was removed by a member of the grounds crew, Molina immediately launched a grand slam that flipped the game’s outcome. After catching the fancy of fans who considered the feline some kind of lucky omen, the “Rally Cat” story turned ugly in a dispute over the cat’s future home. The St. Louis Feral Cat Outreach organization, which had possession of the feline, accused the Cardinals of bullying and refused to turn the cat over to the team. On August 12, the Cards won their eighth straight (against Cincinnati, Kansas City and Atlanta) and for the last and only day since May 16, St. Louis was in (a tie for) first place. However, any “Rally Cat” momentum, real or perceived, died as quickly as the story. A dreadful pair of 2-4 stretches followed. First was a road trip to Boston and Pittsburgh, as the pitching yielded an average of seven runs per game. Next was a homestand late in the month against non-playoff contenders San Diego and Tampa Bay, which slammed the Cards back to .500. St. Louis finished the 15-13 month at 67-66 on the season. More importantly, the Cubs had opened up a six-game lead in the division and the Cards fell to fourth in the wild card race for two spots. With Milwaukee also ahead of St. Louis, the latter became the Cards’ realistic target the final month. On successive days, the 17th and 18th, Rosenthal and Wainwright went on the DL, both with elbow injuries. Essentially, each would be done for the season. Weaver stepped into the rotation and performed strongly before a late fade. Piscotty did not play well in his return from the DL, but in a major surprise, was optioned to Triple-A for two weeks in the middle of the month. While the outfielder hit well with Memphis (1.202 OPS and seven RBI in eight games), his game did not pick up appreciably after his return to St. Louis. The remainder of the way, he was in a job share with Grichuk in right field. On the 26th, the Cardinals Hall of Fame Class of 2017 was inducted. From the fan vote for the Modern Era, the choices were slugger Mark McGwire and former catcher and current broadcaster Tim McCarver. The final member of the class was chosen by the Red Ribbon Committee of historians – Pepper Martin, who played 13 seasons in the 1930s and 1940s as a member of the Gas House Gang. As the month neared its end, there were major roster surprises on consecutive days. On the 30th, the Cardinals and Mariners announced a trade, with Mike Leake heading to the Northwest along with $17 million of salary coverage plus international cap money. In return, St. Louis received a low-level prospect, but in reality, their primary benefit was ridding themselves of Leake and his contract. The club called up 21-year old Jack Flaherty to step into the starting five. The next day, St. Louis designated pitcher Kevin Siegrist for assignment. The reliever was subsequently claimed by Philadelphia. Heavily depended upon out of the bullpen since 2013, the left-hander struggled with injury, diminished velocity and effectiveness this season and last. Three starters pitched well in August and three did not. Among the best were Weaver (1.71) and Lynn (2.90). Bringing up the rear were Leake (8.88), Wainwright (7.36) and Wacha (6.04). Out of the pen, Cecil continued to struggle, charged with 10 earned runs in 13 innings pitched (6.92 ERA). Eight Cardinals had between 12 and 20 RBI for the month. DeJong plated 20 as well as launched a team-high six August homers. Four players batted over .300, led by Wong at .347. The others were Fowler, Molina and Pham. Matt Carpenter hit just .202 during the month, but drew 21 walks for a .377 OBP. Though the Cardinals played their best ball in September/October (16-13), the Cubs were better. St. Louis was not officially eliminated from the Central Division race until September 25, though realistically, it felt like that occurred at least a month sooner. On the 27th, the Cardinals had to suffer though the additional sting of Chicago celebrating its second straight division title on their turf. The next night, another Cubs win eliminated the Cardinals from post-season consideration. To summarize 2017’s woes in one sentence, St. Louis finished the season series against Chicago with just five wins in 19 tries. It extended the Cards’ struggles with the Cubs to 15 wins in 42 head-to-head games stretching back to the 2015 NLDS. On the wild card front, two West Division clubs, Arizona and Colorado, were in the driver’s seat for the two berths. The former clinched early, but the latter stumbled a bit down the stretch. That kept faint hopes alive for the Cardinals until September 28. The performance of Jedd Gyorko, who had been the cleanup hitter much of the way, took a dive in the second half and when he went on the DL, he ceded his spot to Dexter Fowler. 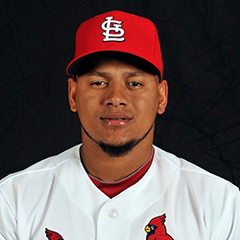 Though the center fielder was performing well, when he was sidelined by a knee injury, Jose Martinez stepped into the number four spot. After an unexpected burst of productivity that led to his selection as the NL September Rookie of the Month, Martinez’ wrist injury knocked him out for a week near the end. The cleanup hitter is a clear need for the club to address for 2018. 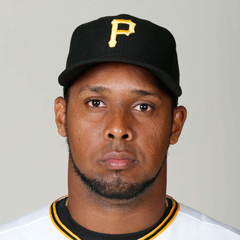 The Cardinals made an unexpected move on September 6, acquiring free-agent to-be reliever Juan Nicasio from Philadelphia for prospect second baseman Eliezer Alvarez. With Rosenthal out for the year and Oh ineffective, Nicasio immediately stepped into the closer’s role, saved four games in four tries and picked up two wins. As rosters expanded, the Cardinals added Gyorko and Wainwright off the disabled list as well as a group of minor leaguers on a phased basis, since Memphis was still playing until the 19th. 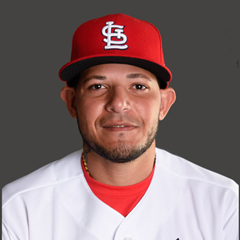 Up from the minors were pitchers Sandy Alcantara, John Gant and Josh Lucas, catcher Alberto Rosario, infielders Alex Mejia, Aledmys Diaz and Breyvic Valera and outfielders Magneuris Sierra and Harrison Bader. As one would expect, all played sparingly during the final weeks. In the final month, the bats dropped off. Just five Cardinals had a dozen RBI or more, down from eight in August. Molina and Jose Martinez led the way with 22 and 18, respectively. The catcher’s total was even more impressive given that he did not play the final six games after suffering a concussion on September 26. DeJong’s five long balls again were most during this final stretch. In continued oddity, Carpenter matched DeJong’s five homers, but plated just six all month while batting .230 and reaching base at a .420 clip. The only .300 hitters the final month were Martinez at .353 and Fowler at .302. Joining Carpenter in the .220-.230 range were Grichuk, Molina, Piscotty and Bader. Wong limped home at .170 in September. With the arrival of Nicasio (1.64 ERA, 4-of-4 in saves and a 2-0 record), the bullpen seemed to stabilize. However, the rotation did not hold up. The youthful starters especially lost the wind in their sails in September – Flaherty (6.33) and Weaver (5.17). Lynn at 5.02 won just one of his final six starts as a Cardinal. Even Martinez at 4.35 did not excel, with Wacha the only one (barely) coming in under 4.00 (3.82). Considering this inconsistency, it is not difficult to see why the Cardinals as a team fell short by nine games in the division and four in the wild card. Following the season, more coaching changes occurred with pitching coach Derek Lilliquist and bullpen coach Blaise Ilsley fired and bench coach David Bell leaving to become the farm director for the San Francisco Giants. Four Cardinals are poised to test free agency, all pitchers. They are Lance Lynn, Seung-hwan Oh, Zach Duke and Juan Nicasio. The 2017 Cardinals finished in third place, their worst division showing since 2008. Their 83 wins are the fewest since the 2007 team won just 78. Time in first place was rare, totaling just two weeks. The Cards fell out of a share of the lead after their third game and spent 10 days of April in last place, but returned to first for nine days in mid-May. On August 12 only, the Cardinals had their final brief share of first. On June 24, they reached their low point of seven games under .500 (33-40). For over two months, from June 3 (Game 53) until August 7 (Game 112), St. Louis continuously carried a losing record. The Cards reached their peak of nine games over .500 very late in the season – on September 22 (81-72), but finished on a 2-7 skid. The poor conclusion took them from two games out of first to nine games back and from second place to third. The Cardinals announced ticket sales of 3,447,937, ranking second in MLB attendance for the fifth consecutive year. It was the fifth highest total in franchise history and the 21st time (14th consecutive season) they surpassed three million. Average per game attendance at home was 42,567. However, that included just 14 sellouts, down from 37 two years before, despite ticket discounting. Among the key factors in the 83-79 finish was an inability to consistently win within the Central Division. The Cards were just 34-42 in the division, losing head-to-head season matchups against first-place Chicago and second-place Milwaukee. Against teams in the 2017 postseason, the Cardinals fared even worse, going a combined 16-29 (5-14 vs. CHI, 3-3 vs. WAS, 4-3 vs. ARI, 4-2 vs. COL, 0-3 vs. NYY, 0-4 vs. BOS). In one-run contests, St. Louis finished five games under .500 at 24-29 and the club was just 5-9 in extra-inning games. While pitching continued to lead the way for the Cardinals, the team ERA of 4.01, sixth in the league, was basically flat from 2016 (4.08). St. Louis’ starters ERA of 4.13 was also sixth. The team’s relief ERA of 3.81 was fourth-lowest of the 15 NL clubs. St. Louis’ bullpen save conversion percentage of 71.7% was fifth-best in the league. The offense was inconsistent, finishing seventh in the National League in runs scored, down from third the year before. In the slash stats, the Cardinals were fifth in average (.256), fourth in OBP (.334), but a lowly 10th in slugging (.426), dropping them to eighth in OPS (.760). The defense and baserunning were also in the middle of the pack. St. Louis was seventh in the league in UZR, Ultimate Zone Rating. 72.3 percent of Cardinals attempting to steal a base were successful, also seventh in the NL, just above the league average of 71.9 percent. Put that all together and the St. Louis Cardinals remained home from the post-season for the second consecutive year, finishing third in the division and seventh in an NL tournament that allows just five teams to participate. Link to master article with all 2017 award winners, team recaps for the entire 46-article series of team recaps and Players of the Year across the entire Cardinals system, now complete for another season.